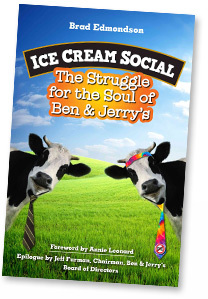 An excerpt from Ice Cream Social has been published in the February issue of Ethical Corporation, a London-based magazine for executives in the field of corporate sustainabilty. 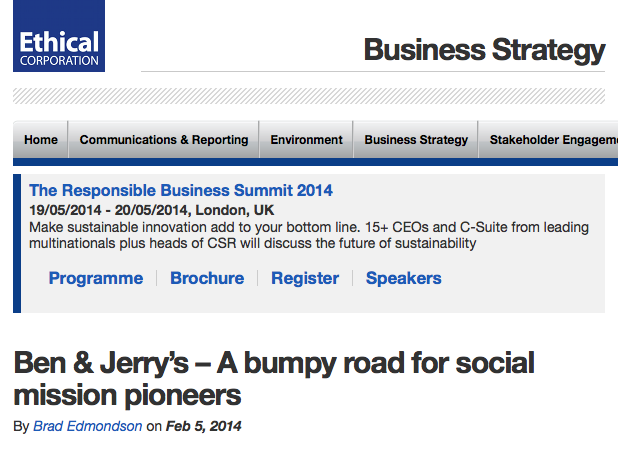 The excerpt describes the extent of the company’s social mission activities just prior to its sale to Unilever. Read and share it here.